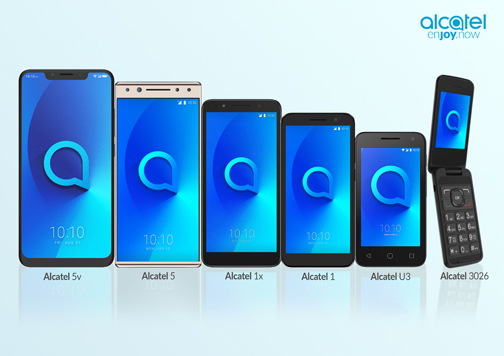 ​Alcatel is making waves in the Philippine market by launching 6 new feature-rich smartphones that are affordable and accessible for everyone. These new devices enable Filipinos to maximize and enjoy the experience of ‘now’, and are designed to always be ready to help capture those spontaneous and ever-changing joyful moments that make up life. “We’re very excited to launch 6 new Android smartphones to the Filipino market. This shows our commitment to making great mobile technology accessible to everyone,” said Rudolph Santos, Alcatel Philippines Country Head. Alcatel has designed devices to empower Filipinos to create, share and elevate every moment, and find new ways to enjoy and experience your own personal joy—now. Both the Alcatel 1 and 1X are packed with features you’d be hard-pressed to find at this price point. In fact, these are the first smartphones to feature an 18:9 aspect ratio which fits the palm of one’s hand perfectly and priced in the sub-P5,000 range. The 1X is even finished in a suede texture giving it a premium feel for a P4,990 device. At P2,690, the Alcatel U3 would make a great first smartphone for kids. It’s an intuitive and accessible device that even comes in sharp blue and neon pink versions.